Poverty is harming children’s capacity to learn and it’s getting worse, suggests a survey of teachers. Pupils who go to school hungry from cramped, noisy homes where they can’t sleep properly, struggle to learn says the National Education Union (NEU). “I try to teach my phonics group as I am giving others cereal to eat,” one teacher told NEU researchers. Ministers say employment is at a record high, wages outstrip inflation and fewer people are in “absolute” poverty. But the NEU says anecdotal evidence from its members suggests more families are falling into poverty. “Government does not want to hear these stories from the frontline of teaching, but they must,” said NEU Joint General Secretary, Dr Mary Bousted. “A decade of austerity has only served to place more children in poverty while at the same time destroying the support structures for poor families,” she added. More than 8,600 NEU members from across the UK responded to an online survey between March 20 and April 3. Of these, an overwhelming 91% said poverty was a factor in limiting children’s capacity to learn, with almost half (49%) deeming it a major factor. Among state school teachers, the figures rose to 97% and 52%. Overall, half the teachers who responded said pupil poverty was worse than in 2016. “The poverty gap has clearly got bigger,” one teacher told the researchers. “A number of my pupils live in overcrowded housing where they are sharing rooms with small children or babies, and have disrupted sleep. “One child has been referred to the school wellbeing team due to anxiety about their family’s financial situation,” said another. Another reported that poverty was not necessarily confined to families where no one works but also affects homes with “parents working hard in jobs but still not able to get the basics”. About three-quarters blamed poverty for children falling asleep in lessons, being unable to concentrate and behaving badly. About half said their students had experienced hunger or ill health as a result of poverty, and more than a third said pupils were sometimes bullied for being poor. “Most of my class arrive at school hungry and thirsty,” said one teacher. Some teachers told the researchers that mufti days and dress-up days can be a source of shame for the poorest pupils, with some reluctant to come in because of negative comments or stares. Older pupils are sometimes unable to afford course text books or calculators, and providing electronic copies doesn’t help pupils from homes without access to computers or the internet, the survey found. Some teachers reported using their own money to buy snacks or new underwear for pupils, and sometimes schools help out by washing clothes or providing free breakfasts. But budgets are increasingly stretched and one teacher reported that their school had recently had to axe its breakfast club. 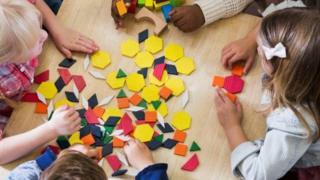 England’s children’s minister, Nadhim Zahawi, said tackling disadvantage was a government priority, acknowledging “some families need extra help”. “While all infant children can benefit from our universal free school meals programme, we are making sure that more than a million of the most disadvantaged children are also accessing free school meals throughout their education, saving families around £400 per year. ← Could Harry and Meghan’s child pay US taxes?